According to the National Association of Realtors, the US holiday home market is currently booming. 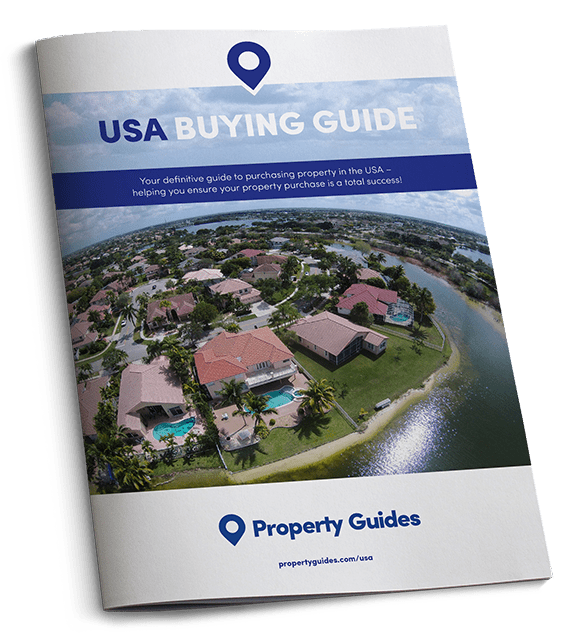 In their report on Investment and Vacation Home Buyers 2018, they revealed 72% of vacation property owners and 71% of investment property owners believe now is a good time to buy a holiday home in the USA. Of these eager buyers, 33% are snapping up holiday homes in resort areas, 24% are looking to rural locations and 18% are keen on that small town vibe. 33% want to be by the beach and 21% wish to hear the lake lapping on the shore outside of their bedroom window. Should you plan to buy a holiday home in the USA that you’ll rent out when not in town, a recent study by Rented.com will be of interest. Of the Top 25 places to buy a holiday home in the USA, 15 of them were all located in the south east corner of the US. Mostly due to the southern hospitality, thriving short term rental markets, beneficial tax breaks and of course, the year round sunshine. If you want to buy an American holiday home but don’t know where to start, this is just the article for you. Today we’re providing a rundown of our Top Ten places to buy a holiday home in the USA. Why you will love it here: Napa Valley is more than just one of the world’s premium wine regions, it’s a place to call your second home. Return year after year to rolling hills, marbled with plump vineyards and olde-worlde American towns like St Helena. Additionally, you’ll be close enough to San Francisco to be able to really get to know it. Just across the border is Sedona County – a location famous for being a healing vortex. We’re not sure what that means either… but it’s safe to say you can expect lots of yoga retreats and other healthy activities. Furthermore, Napa Valley is one of the country’s very best foodie destinations. Yountville is known as the Culinary Capital of the area, mostly due to its high concentration of Michelin stars. Sample the efforts of students at the Culinary Institute of America or take a cooking class yourself. Whether you’re holidaying to get out into the mountain air of Calistoga, to come wine tasting with friends, or for some peace and quiet away from city life, Napa has a lot to offer those wanting to buy a holiday home in the USA. Annual hours of sunshine: Napa averages around 260 sunny days each year, which is above the nation’s average of 205. July is the hottest month, when temperatures average 28 degrees. January is the coldest month when the mercury sits around 3 degrees. Holiday home prices: Three-bed rural properties available from $299,000 (£224,000). Getting here: A two-hour drive from San Francisco International Airport. 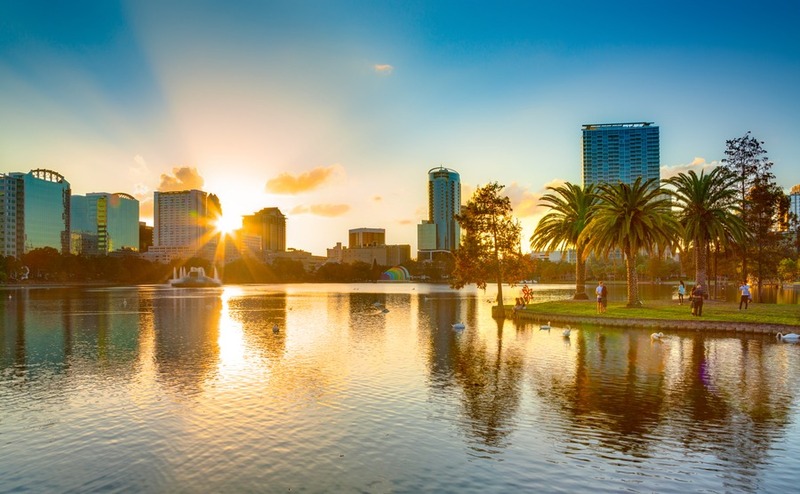 Why you will love it here: If you have children you desperately want to keep entertained, look no further than Orlando. Not only is the climate akin to the Caribbean, but you’ll have an unending amount of attractions right on your doorstep. Aside from theme parks, there are wonderful beach towns a short drive away, where you can build sandcastles on some of the world’s premier beaches. Moreover, there are golf courses, fantastic restaurants and a surprisingly excellent theatre scene when you’re in need of a spot of culture. If you want to buy a holiday home in the USA that will provide a little return on investment, make sure you buy within a rental zone. With 53,000 people flocking to Disney World every day, finding tourists to rent your holiday home shouldn’t prove too taxing. Sunshine hours: While summer months are hot and stormy, the rest of the year is idyllic. Expect to soak up 2,930 sunshine hours over the course of the year. Holiday homes prices: Prices start from $185,000 (£138,605) for a condo, or around $265,000 (£198,500) for a house. Getting there: Fly directly from London to Orlando International Airport in nine hours and ten minutes. Why you’ll love it here: If a little slice of New England charm is what you fancy, Provincetown is a superb choice. Located at the tip of Cape Cod, this is where the Mayflower arrived in the USA back in 1620. The peninsula is home to award-winning beaches, in particular Race Point Beach, where you’ll often spot seals, dolphins and humpback whales doing their thing just off shore. Enjoy bike rides, exploring the sand dunes, or spotting local wildlife like coyotes, otters, racoons and turtles. You’ll be able to shop until you drop and go for fantastic dinners in one of Commercial Streets many restaurants. This is a bustling place no matter the time of year, and the sunsets really are something else. Sunshine hours: Provincetown enjoys 201 sunny days per year. Holiday homes from: Condos start from $379,000 (£286,380) but go up into the several millions of dollars. For a house, prices start from $600,000 (£453,440). Getting there: Fly from London to Provincetown in eight hours 45 minutes, and then drive for an hour. Wherever you decide to buy a holiday home in the US, you’ll need all your negotiating skills. Read How to Negotiate Abroad for some insider tips, written by a licensed realtor. Why you’ll love it here: Calabash is a fishing village located in North Carolina which scored 97.6 out of 100 on Zillow’s Second Home Index for those seeking beaches and boating. If you consider yourself a seafood aficionado, perhaps you’ve already heard of it? Calabash has after all been dubbed The Seafood Capital of the World. Whether you’re in the market for clams, oysters or prawns, expect it served in a light batter that dreams are made of. This is a relaxed, sunny location that’s incredibly popular with families. Wander around the docks, lounge on the beach, sample homemade ice cream or enjoy a round on one of the area’s many world-class golf courses. Sunshine hours: You can make the most of 212 sunshine days every year in Calabash. Holiday homes from: Buy a lovely two-bed, two-bathroom house for as little as $134,900 (£101,800). Getting there: Fly from London to Myrtle Beach in 11 hours and ten minutes, then hop in a taxi to be in Calabash in 40 minutes. Why you’ll love it here: If you want to buy a holiday home in the USA that affords you a summer and winter getaway, Breckenridge is a great choice. 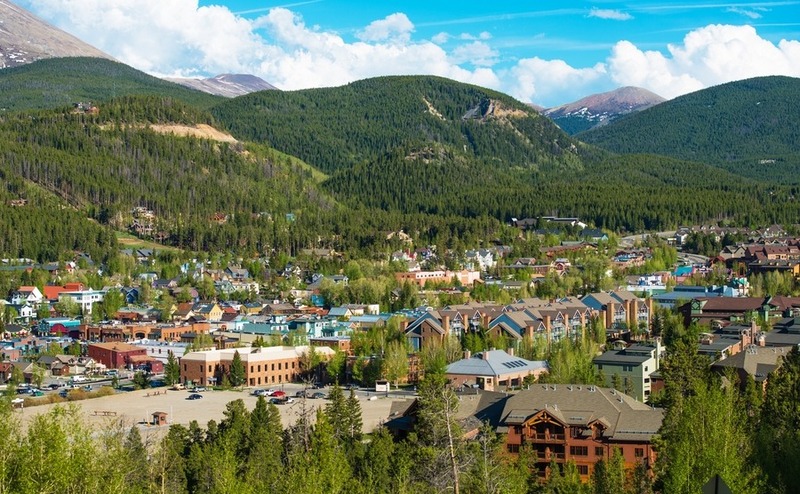 Located in the Rocky Mountains, this town is perfect for active getaways. During summer you can hike, kayak, bike, rock climb and more in this friendly town that’s located within the Healthiest County in the Country 2017. Come winter, enjoy Breckenridge Ski Resort, which is home to four peaks and more than 2,300 acres of ski fields. Whether you’re in to downhill or cross country skiing, or you prefer a more relaxed spot of snow-shoeing, you’ll find it here. Sunshine hours: 300 days of sunshine per year and an annual snowfall of 366 inches of snow. Holiday home prices: Condos are available from $229,000 (£172,000) and houses from $550,000 (£413,000). Getting there: Fly from the UK to Colorado in nine hours and 50 minutes. From Denver International Airport the drive to Breckenridge takes one hour and 45 minutes. Why you’ll love it here: Arriving in Tybee Island year-on-year will be like stepping back in time. The seaside town enjoys a rich mariner history and is located on both the Atlantic Ocean and on Georgia’s marshes. It’s a naturally-beautiful, eco-friendly town which is called home by lots of welcoming locals. Moreover, you can sample the delights of the pier and the pavilion, or while away long summers days on golden beaches. Should you tire of island life, you can head to Savannah, which is 20 miles away. Here you can dive into Southern heritage and hospitality with sensational dining, arts and entertainment. Explore the city’s cobbled streets and have a rummage at the City Market, a veritable hotbed of local art and shopping. Sunshine hours: Tybee Island gets 212 sunny days per year. July is the hottest month, when the average temperature is 32 degrees. Holiday home prices: Condos are available from $285,000 (£215,000) and houses from $400,000 (£302,000). Getting there: Tybee Island is 22 miles away from Savannah Hilton-Head International Airport, which is an 11.5 hour flight from the UK. 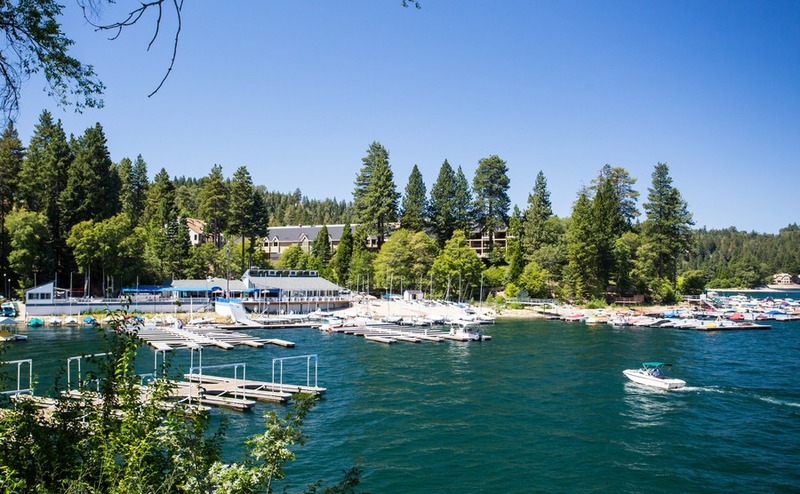 Why you’ll love it here: Lake Arrowhead is located on the shore of one of California’s most beautiful lakes. Additionally, you’re also in the mountains in the San Bernadino National Forest – or as some like to call it, The Alps of Southern California. Visit in the summer to take a dip, try your hand at water sports, or enjoy hiking, biking, climbing and more. Come winter, snuggle up by the fire, or hit the slopes at Snow Valley Mountain Resort, Rim Nordic Ski Area or Bear Mountain Ski Resort. Sunshine hours: Lake Arrowhead receives 310 sunny days per year. Holiday homes from: Houses start from $259,000 (£195,270). Getting there: Fly from the UK to LA in 11 hours and drive for an hour and a half. Why you’ll love it here: Kissimmee is perfect for those who want to be close to Disney World but further from the crowds. Additionally, the area is popular with holiday home owners who want to rent out their properties for much of the year. As well as being down the road from Mickey, Daffy and the gang, Kissimmee Lakefront Park is a great place to enjoy a picnic or to try kayaking or canoeing. Sunshine hours: Enjoy 232 days of sunshine each year. Holiday homes from: Snap up a townhouse from $185,000 (£139,500) and a single family home from $205,000 (£154,500). Getting there: The flight from Gatwick to Orlando International Airport takes 13 hours and 12 minutes. The drive to Kissimmee the other end is just 25 minutes. Why you’ll love it here: According to Liftopia’s latest Best in Snow Awards, Magic Mountain is North America’s premier snow resort. The laid-back resort was not only voted ‘Best in Snow’ by thousands of skiers and boarders, but it’s also been called the ‘best kept secret in the Northeast’. If that’s not enough to lure you ski bunnies, the nightlife, restaurants and summer activities on offer in and around Chester and Londonderry should. Getting there: Fly from London to Boston in seven hours and twenty minutes. The drive from Boston to Vermont will take you three hours. Sunshine hours: Magic Mountain is one of the USAs snowiest resorts, receiving 230 inches per year. Summer months are the perfect contrast, with temperatures from June-August averaging 28 degrees. 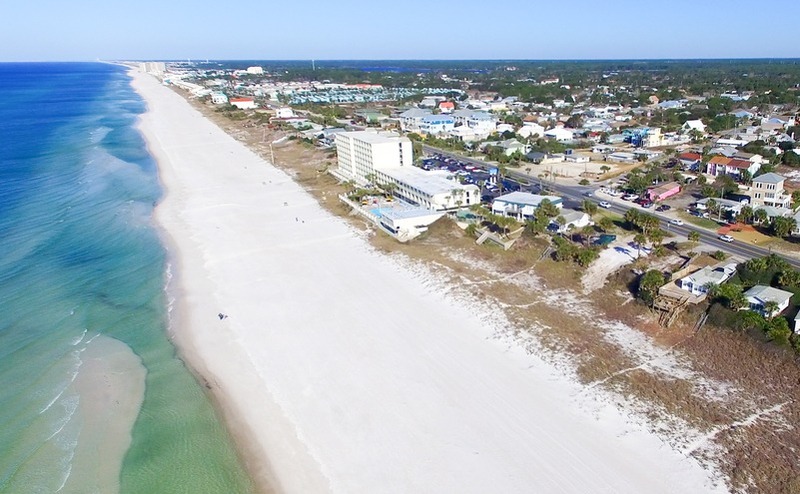 Why you’ll love it here: This beach resort in northwest Florida is located on the warm, calm waters of the Gulf of Mexico. It’s famous for its sandy beach that stretches 27-miles. The resort is popular with people of all ages, which means there are activities to suit all tastes. Shipwreck Island Water Park and Zoo World are popular choices with families. Outdoor types can get acquainted with the hiking trails of St Andrews State Park. Also, you can fish for your dinner, or play at one of the numerous top golf courses dotted nearby. Sunshine hours: Revel in 239 days of sunshine per year. Holiday homes from: A one bed condo can be found for $85,000 (£64,110) and houses from $260,000 (£196,135). Getting there: Panama City in Florida has its own airport, which you can fly to in 11 hours and 40 minutes with one stopover in Atlanta. A taxi from the airport to the beach takes 15 minutes.